Tip is a young boy living in Oz, servant to a nasty witch. He fashions a pumpkin head that comes to life, and they travel to the Emerald City to meet the Scarecrow and Tin Man, falling into the middle of a revolution along the way. I didn’t really enjoy this book, maybe because I listened to it as an audiobook, and I didn’t like the narrator. Usually I love the Oz books, but this one fell flat. 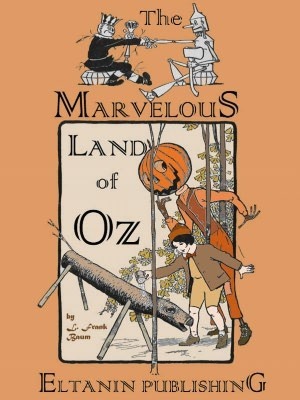 The characters are so dry, the jokes aren’t funny, and even the imaginative setting of Oz felt like a rehash of the same old things from every Oz book. Maybe it was the narrator. Maybe I just wasn’t in the mood for this book. Maybe because I’ve been reading the Oz books out of order, so I already knew some of the plot points. It’s a good story, but I somehow couldn’t enjoy reading it.